Why are carefully designed, sensible policies too often not adopted or implemented? When they are, why do they often fail to generate development outcomes such as security, growth, and equity? And why do some bad policies endure? This World Development Report 2017: Governance and the Law addresses these fundamental questions, which are at the heart of development. Policy making and policy implementation do not occur in a vacuum. Rather, they take place in complex political and social settings, in which individuals and groups with unequal power interact within changing rules as they pursue conflicting interests. The process of these interactions is what this Report calls governance, and the space in which these interactions take place, the policy arena. The capacity of actors to commit and their willingness to cooperate and coordinate to achieve socially desirable goals are what matter for effectiveness. However, who bargains, who is excluded, and what barriers block entry to the policy arena determine the selection and implementation of policies and, consequently, their impact on development outcomes. Exclusion, capture, and clientelism are manifestations of power asymmetries that lead to failures to achieve security, growth, and equity. The distribution of power in society is partly determined by history. Yet, there is room for positive change. 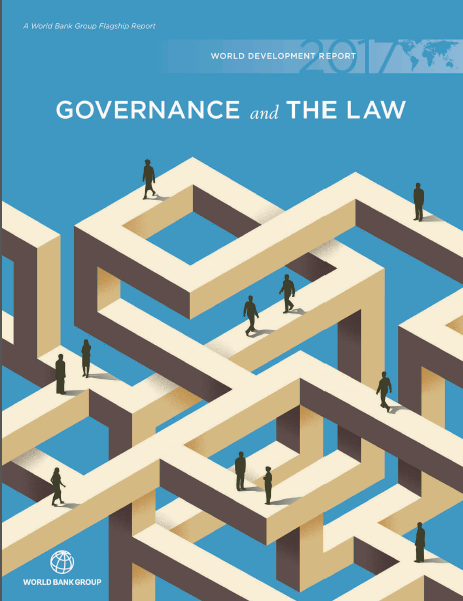 This Report reveals that governance can mitigate, even overcome, power asymmetries to bring about more effective policy interventions that achieve sustainable improvements in security, growth, and equity. This happens by shifting the incentives of those with power, reshaping their preferences in favor of good outcomes, and taking into account the interests of previously excluded participants. These changes can come about through bargains among elites and greater citizen engagement, as well as by international actors supporting rules that strengthen coalitions for reform.